Words hold the power to hurt as well as heal, and choosing them is a complicated and delicate process. No one knows this better than the men who work with them every day. Authors, reporters, reviewers, and publishers struggle to balance truth, art, long hours, and stressful jobs. Whether they’re trying to write a novel or advance a career, it can leave little time for love. 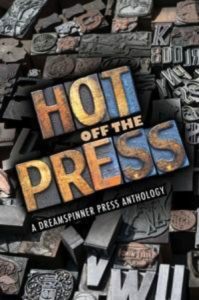 The men in this anthology are seeking romance on and off the job, in print and online, against backdrops of fact, fiction, and even fantasy. Their tales are different but have one thing in common—there’s a happy ending waiting on the last page.